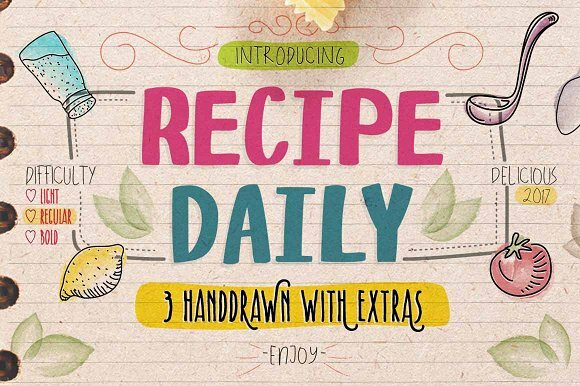 Recipe Daily is a hand-drawn typeface created by panji.nagraha which comes in 3 styles, Light, Regular & Bold. Inspired by lettering on the recipes note, is ideal for logo, poster, t-shirt etc. A font description published on Tuesday, February 21st, 2017 in Fonts, panji.nagraha by Alexandra that has 5,156 views.